Nice write up and another great capture Eric. Indeed, it was great to see the pupps in nyc again – and getting so much love. For me the surest sign of the band’s staying power is that – now 10+ years since their rebirth, they continue to operate at the height of their powers, somehow managing to sound more mighty each time I see them. Special props to Elmo Kirkwood for blossoming into quite the guitar god himself. Thanks again Mike. Looking forward to hearing yours! MP are another band that took me forever to finally catch on the reunion and I’m so glad I did. An oldy but goody in the meantime! Thanks for the tip, I’ll check that out. Funny to stumble on this page, I think I was standing next to your Eric (at the front of the stage, right at the Kirkwoods’ feet, or where Mike Watt had been standing for his set). Thanks for sharing! That might have been Mike who was also taping the show. I was back by the second stairwell from the stage. hi, did grant hart open this show and did anyone tape that set? He did. But he was playing solo in a room with people bowling, so mine didn’t come out. Maybe Mike got it? nate. i’ll see if eric wants to host my recording once i get the chance to finish it…currently still finishing out my winter sports season! …otherwise will work out getting it to you directly. Yeah, we can get that posted as long as we can get permission from Grant. 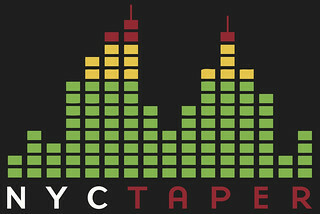 great stuff per usual from nyctaper! continued thanks for letting me not miss the shows i miss!!! I’ll hope to spend a little quality time with my grant recording this week. Once it’s ready I’ll reach out to Eric. Thanks for your patience here, it’s been a busy time but I haven’t forgotten about you. have been working on the grant hart recording…it’s getting close. last adjustment on mix and will be ready. I’m now happy with the 8track mix. I believe you’ll find it worth the wait. Once the recording notes are done I’ll be in touch with Eric PH. I expect Grant will give permission for his recording to be shared here – he’s always been very amenable to my taping him over the past 15years, even holding the start of his set one til tape was running! nate: i sent the show to eric yesterday; he’s reaching out to grant for permission to post and will get the two of us together in any case, so we edge closer!